The criminalization of political speech and activism against Israel has become one of the gravest threats to free speech in America. Palestine, Israel and the right to boycott (BDS) have made their way to the front and center of Michigan’s gubernatorial race. In the past few weeks, Democratic candidate Gretchen Whitmer has publicly expressed support for the right to boycott Israel, after which her Republican opponent, Bill Schuette, vehemently attacked her for it, resulting in a further public statement by Whitmer expressing both her public support for Israel and the anti-boycott legislation signed by Governor Snyder in December 2016. The legislation we are speaking of directly affects people who engage in the Boycott, Divestment, Sanctions Movement (BDS), an effort established in 2005 to encourage individuals, nations and organizations to boycott Israel as a result of its illegal occupation, dispossession and aggression against the Palestinians. This Palestinian-led movement was inspired by the South African movement that helped lead to the end of apartheid in that nation. Much like in South Africa, the objective of the BDS movement is to pressure Israel to comply with international law. BDS has blossomed into a vibrant global movement made up of unions, academic associations, churches and grassroots organizations. Much like in South Africa, the objective of the BDS movement is to pressure Israel to comply with international law. The language is a bit confusing, but the statute continues on to define “person” as any individual, corporation or “governmental entity,” additionally defining “strategic partner” as Israel. 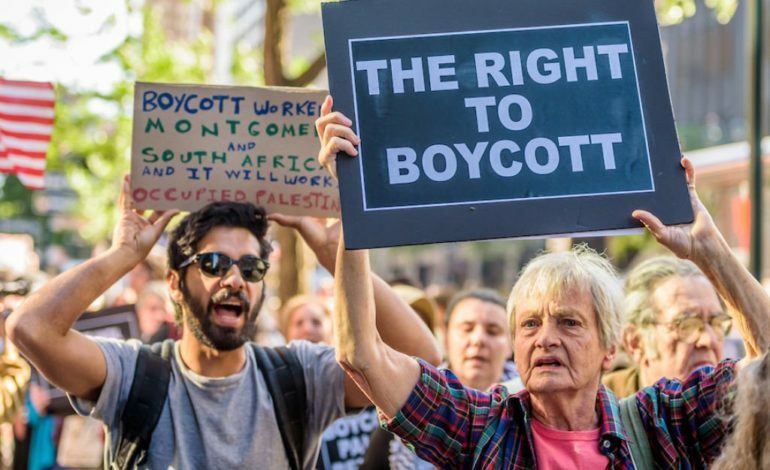 In essence, the state may not enter into any contract for services or goods with any person or company that boycotts Israel, including supporters of the BDS movement. For instance, a civil engineering firm whose owners or employees might participate in the BDS movement would be barred from acquiring a state contract to help build a bridge. It might also mean that a public speaker who participates in the BDS movement would be barred from acquiring an honorarium at a public university or school. The right to boycott is enshrined in American history. The Constitution clearly protects every American’s right to boycott anything he or she might desire. And the Supreme Court has reiterated this principle. In 1982, in a case titled “NAACP vs Claiborne Hardware,” the U.S. Supreme Court clearly held that peaceful political activity cannot be prohibited or punished by the state. In that scenario, Black citizens in Mississippi organized a boycott against White-owned business to protest racial injustices. The Supreme Court loudly stated that peaceful boycotts reside on “the highest rung of the hierarchy of First Amendment values.” No justices dissented in the case. To boycott is as American as it gets. No politician should advocate for or support laws that punish Americans for nonviolent protest, which is protected under the First Amendment of the U.S. Constitution. It is part of the American creed to defend the free speech rights of all, even when those opinions are despicable and racist. Those supporting BDS are urging for justice for Palestinians and the application of international law against Israel. Surely, their rights should be protected as well. It is true that Gretchen Whitmer has met with and reached out to the Arab American community frequently and much more often than Schuette, who continues his lovefest for Israel while ignoring Michiganders’ important issues and their Constitutional rights. Schuette, a protoge of President Trump, a far right politician, supports Trump’s Muslim ban and his anti-immigrant sentiments. It’s very obvious that the current Michigan anti-BDS law is blatantly unconstitutional and un-American. It will be challenged in the court of law and defeated. Governor Snyder shouldn’t have signed anti-boycott bill it into law and neither gubernatorial candidate should support it. Copyright © The Arab American News. All rights reserved. 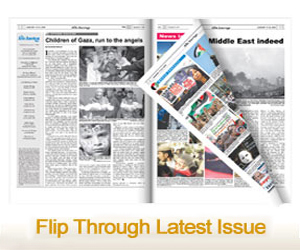 News, views and interviews from the Arab world and the Arab American community.